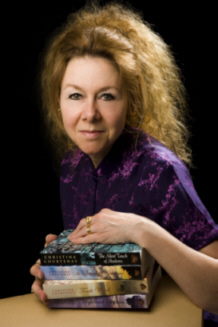 Today's interview is with Christina Courtenay. Welcome! 1. Anything new since your last visit? Last time I was here, I’d just had Monsoon Mists published, the third book in my Kinross trilogy. Since then I’ve been mostly concentrating on my role as chairman of the UK’s Romantic Novelists’ Association (which takes a lot of time! ), but I’ve also been writing and had a couple of new ebook releases – The Soft Whisper of Dreams (which is now coming out in paperback) and a Regency novella called Never Too Late. On top of that, I’ve ventured into self-publishing with the second book in my YA series – New England Crush. As I’m extremely non-techie, that proved to be a steep learning curve, but fun anyway! 3. It says it's a follow up, but can it be read as a stand alone? Yes, it can be read as a stand alone, but I think the reader would enjoy it even more if he/she had read the first book. 4. Would you want your fortune told, or are some things better not told? No, never! I’m extremely superstitious so I’d believe every word and even though the rational part of my brain would be telling me it was all nonsense I’d be thinking “what if it isn’t?” And if I was told something bad, I’d be terrified of it coming true. I just finished the final edits for a historical romance which is coming out in August called The Jade Lioness. It’s the third book in my Japanese trilogy (sequel to The Scarlet Kimono and The Gilded Fan) and follows adventurous English girl Temperance Marston as she is kidnapped by outlaws in 17th century Japan and rescued by a handsome samurai. I’ve also started work on a new time slip novel set partly during the English Civil War – I’m fascinated by that period of history which must have been so difficult to live through when people had to choose sides whether they wanted to or not. In my novel The Gilded Fan I wrote about it from the perspective of the Parliamentarians (Roundheads) but I’ve always wanted to write about the Royalists, or Cavaliers, so I’m finally doing that now. Many thanks for having me as your guest! 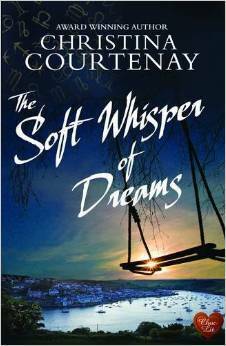 The Soft Whisper of Dreams is the follow-on to Christina Courtenay’s novel The Secret Kiss of Darkness. "Handsome samurai"? I would not mind being saved by one of those. hahaha. I must check out THAT series as well! But yes, I agree with Felicia...avoid gypsy fortune tellers. That's exactly it - paranoia! But there's always that niggle of "what if" ... Nope, I can't do it! I agree with Jenny. No thanks to fortune tellers. I'm paranoid enough already! Ahh fortune tellers. They are oh so creepy sometimes. I like that this blends several of my favorite genres. I will have to look this one up. Enter me please. The Soft Whisper of Dreams sounds good..I love all of those elements. Fantastic interview Linda! It's nice that we have paranormal and suspense/thriller elements in it, it's always a great mix! thanks for the interview. Oh same here with the fortunes. That would so mess with my head I'm sure. I'm the same way - I'm not sure I could handle having my fortune told, I'm way too suspicious. :-) Awesome interview! I would never want my fortune told. This looks like a great read.